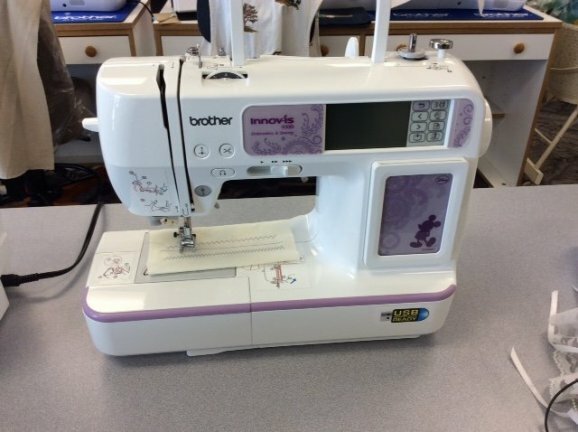 We have several gently used machines that have been traded in to us. We've got great pricing on them, so come in to see the great deals. We will post pictures of machines as they become available. Check back often or come in to the shop so you don't miss anything! This month, we are featuring the Brother SB 7900, Brother 950D, and SB 7050E. All have been serviced and are ready to use for your creative projects. All of our Brother trade backs are gently used and are looking for a new home. Need more information? Check this out!